Check out this cute two bedroom two story condo in the private gated community of Montego Bay. 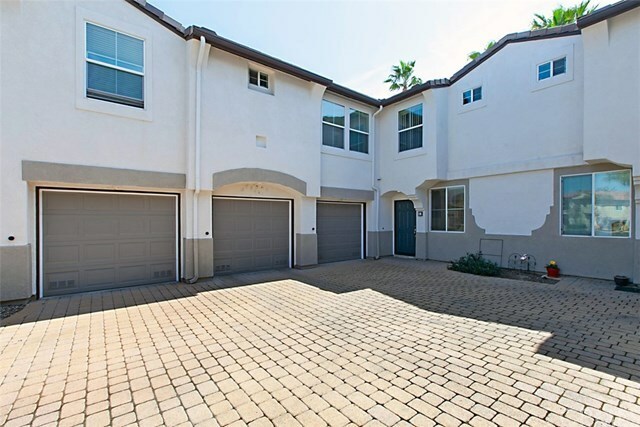 This home has a direct access one car garage, a fireplace and a private fenced in back patio. The kitchen is open to the living room and all bedrooms are upstairs. The side by side indoor laundry is in the kitchen. The kitchen and living room have laminate flooring, high ceilings, crown moulding and are open and bright. The front entry is from a common driveway entrance with brick pavers. The resort-style Montego Bay community has a beautiful pool and spa surrounded by palm trees.